In 1938, Harvey Cushing and Louise Eisenhardt published Meningiomas, Their Classification, Regional Behaviour, Life History, and Surgical End Results.1 This iconic text demonstrates the Science of Practice algorithm elegantly. The product of more than 20 years, it demonstrates the habitual and systematic collection, analysis and interpretation of data and then application of the analysis to improve care. These are the basic tenets of the Science of Practice algorithm. Today we may collect the data in digital databases, analyze it with more sophisticated biostatistics and publish it online, but the quintessential components of the Science of Practice remain the same. On a very personal level, such a process has changed my practice of carotid surgery. I also suggest a way to apply this powerful clinical research technique in the study of unruptured aneurysms. What is the hypothesis we are testing? Invasive treatment of unruptured aneurysms improves the functional health status of patients compared to observation alone. Who are the decision makers for treatment assignment? The patient, evaluating physicians and family members. What are the key covariates that are used to determine treatment assignment? 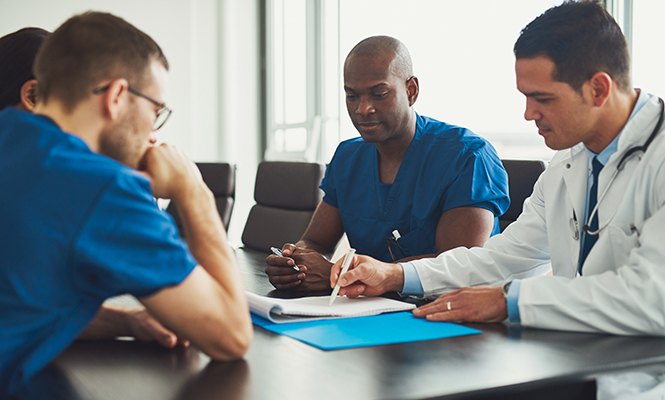 Physician-specific factors such whether the physician making the recommendation is an endovascularspecialist, an open surgical specialist, both or neither, the years of experience of the physician and his or her practice setting. Can we quantify the co-variants? What clinically meaningful outcomes do we want to measure? 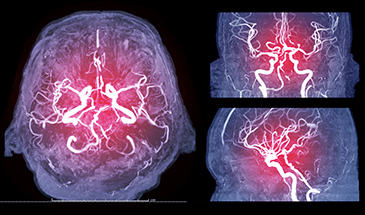 Mortality, aneurysmal subarachnoid hemorrhage and functional health status. What sample size will be necessary and how long must the POD continue? These can be calculated based on available data from previous studies. 1. Cushing, H., & Eisenhardt, L. (1938). Meningiomas, Their Classification, Regional Behaviour, Life History, and Surgical End Results. Charles C. Thomas, 785. 2. Harbaugh, K.S. & Harbaugh, R.E. (1995). Early discharge after carotid endarterectomy. Neurosurgery 37: 219-225. 3. Harbaugh, K.S., Pikus, H.J., Shumaker, G.H., Perron, A.D., & Harbaugh, R.E. (1996). Increasing the value of carotid endarterectomy. J Neurovasc Dis 1: 40-47. 4. Harbaugh, R.E. (1997). Carotid surgery using regional anesthesia. Techniques in Neurosurgery 3: 25-33. 5. Magnadottir, H.B., Lightdale, N., & Harbaugh, R.E. (1999). Clinical outcomes for patients at high risk who underwent carotid endarterectomy with regional anesthesia. Neurosurgery 45: 786-792. 6. Papavasiliou, A.K., Magnadottir, H.B., Gonda, T., Franz, D., & Harbaugh, R.E. (2000). Clinical outcomes after carotid endarterectomy: comparison of regional and general anesthetics. J Neurosurg 92: 291-296. 7. Harbaugh, R.E. & Patel, A. (2014). Surgical advances for extracranial carotid stenosis. Neurosurgery 74: S83–S91. 8. Walicke, P., Abosch, A. A., Barker, F.G., Harbaugh, R., Jehi, L., Kestle, J., Koroshetz, W., Little, R., Rubin, D., Valadka, A., Wisniewski, & Chiocca, E.A. (2017). Launching Effectiveness Research to Guide Practice in Neurosurgery: Outcomes from an NINDS Workshop. Neurosurgery 80: 505-514. 9. Harbaugh, R.E. (2016). Response to editorial by Peterson EC, Heros RC. Rupture risk of unruptured aneurysms: beyond size and shape. J Neurosurg 124: 285-287. 10. Rubin, D.B. (2008). For objective causal inference, design trumps analysis. Ann Appl Stat 2: 808–840. Robert E. Harbaugh, MD, FAANS, FAHA, obtained his M.D. from the Pennsylvania State University College of Medicine and his general surgery and neurosurgery training at Dartmouth. In 2003, Dr. Harbaugh accepted the position of professor and chairman of the Department of Neurosurgery, Neurosurgery Residency Program director and professor of Engineering Science and Mechanics at the Pennsylvania State University. He has been promoted to the rank of University Distinguished Professor and appointed as the director of the Penn State Hershey Neuroscience Institute. He is a past president of the Society of Neurological Surgeons (SNS) and the American Association of Neurological Surgeons (AANS), former vice chair and director and presently a member of the advisory board of the American Board of Neurological Surgery (ABNS) and chair of the Board of Organized Neurosurgery’s quality improvement and data management company, the Neuropoint Alliance (NPA). Dr. Harbaugh also serves as a member of the National Football League’s (NFL) Head, Neck and Spine Committee and as a member of the Strategic Vision Committee of the Federal Interagency Traumatic Brain Injury Registry (FITBIR). I’m delighted to learn you have an abiding interest in carotid endarterectomy. Carotid stenosis happens to be one of my major clinic interests too. I was interested to hear the changes your studies have made to your clinical practice. My research has been a little different (circle of Willis collateral, and plaque morphology prohibiting stenting), but had the same inspiration as yours in terms of questioning the need for monitoring.